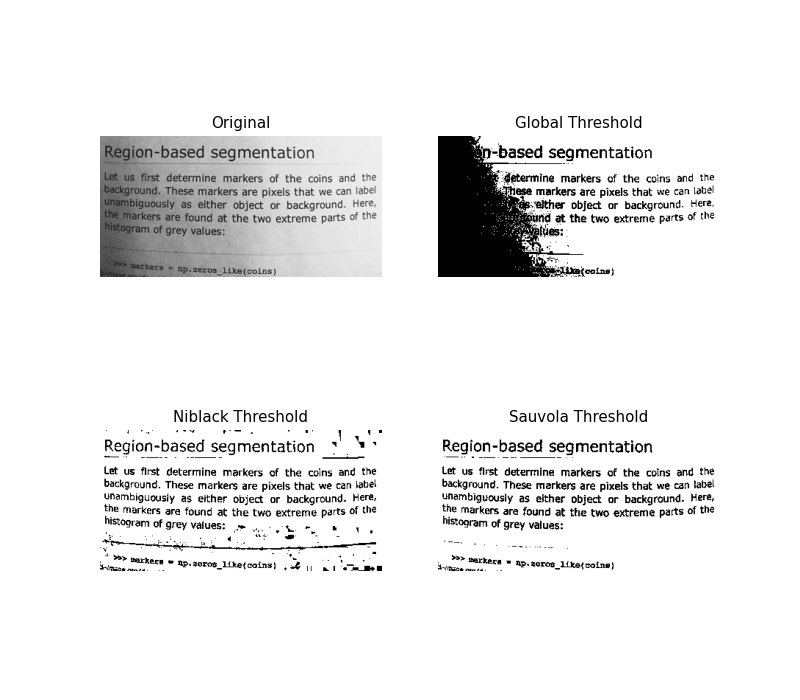 Niblack and Sauvola thresholds are local thresholding techniques that are useful for images where the background is not uniform, especially for text recognition , . Instead of calculating a single global threshold for the entire image, several thresholds are calculated for every pixel by using specific formulae that take into account the mean and standard deviation of the local neighborhood (defined by a window centered around the pixel). Here, we binarize an image using these algorithms compare it to a common global thresholding technique. Parameter window_size determines the size of the window that contains the surrounding pixels. Niblack, W (1986), An introduction to Digital Image Processing, Prentice-Hall.